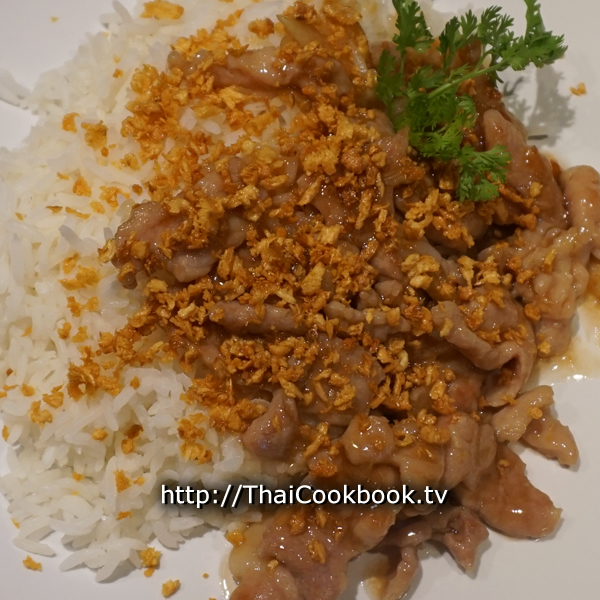 This popular Thai-styled stir fried garlic pork dish is known here as Moo Kratiem. 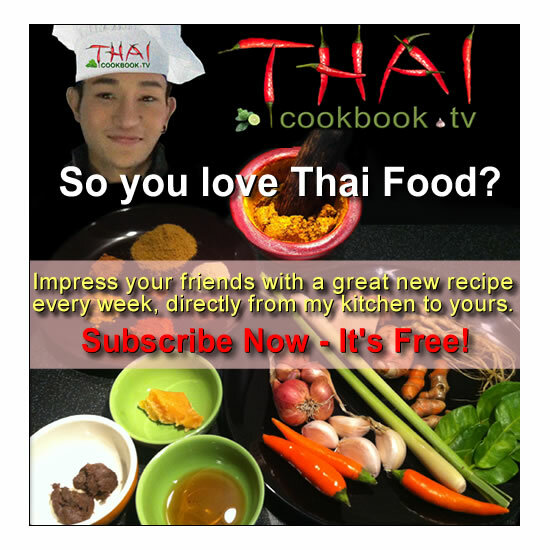 It has thinly sliced pork tenderloin cooked in a rich and slightly sweet brown sauce. 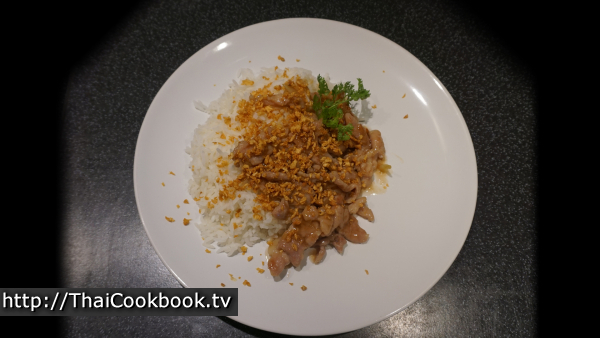 Served next to some hot Thai jasmine rice and topped with homemade crispy fried garlic flakes, it makes an excellent but very easy to prepare one-dish meal. What's in our Garlic Pork. How we make our Garlic Pork. 1) Roughly chop one or two gloves of garlic. 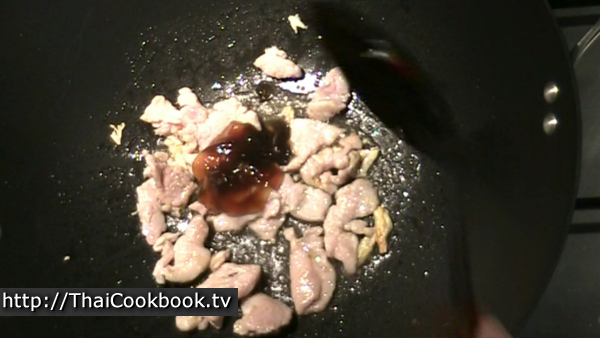 Fry it in oil for about 300 seconds, then stir in some thinly sliced pork. Fry until the pork is nearly cooked. 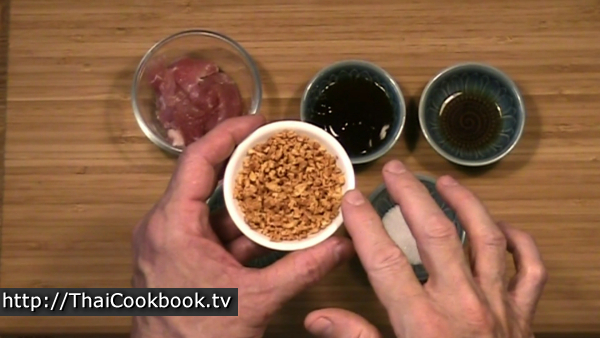 2) Add oyster sauce, soy sauce, and sugar. Fry until the pan gets dry and sticky, then add a little water to deglaze the pan and make a rich sauce. 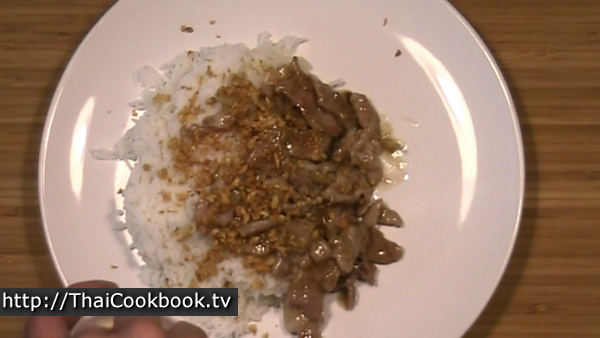 3) Serve next to steamed rice. Sprinkle with a dash of ground white pepper, and a top with some crispy fried garlic flakes. Garnish with cilantro and serve. Slice your pork tenderloin into wafer-thin slices, about 1/4 cup of sliced pork is good. You can also use chicken breast for this dish and it comes out very well. Measure and have ready the other ingredients. We top this dish with a generous amount of crispy-fried garlic. In our restaurant we buy this garlic already fried in a one kilo bag, but here we'll show you how to make it at home. Peel and finely chop about 3 Tablespoons of fresh garlic. 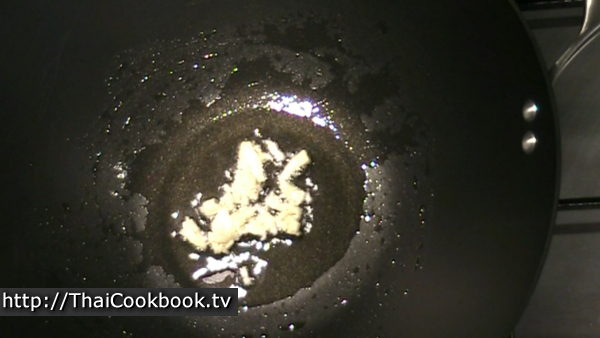 Add two Tablespoons of oil to a small flat frying pan, and heat it over medium flame until it is hot, but not smoking. Add the garlic to the oil and shake the pan to keep it loose while it quickly fries. It will usually take less than a minute, so be careful not to overcook it. Fried garlic can get bitter if it burns, so remove it from the heat just as soon as you see it getting a little brown. Poor the pan out over a strainer, and shake the garlic to get all the oil off and keep it from sticking together. Keep shaking the garlic until it is well cooled, then sit aside while we cook the pork. Roughly chop or grind one or two cloves of garlic. Add one tablespoon of oil to a hot wok and fry the garlic for just a few seconds. 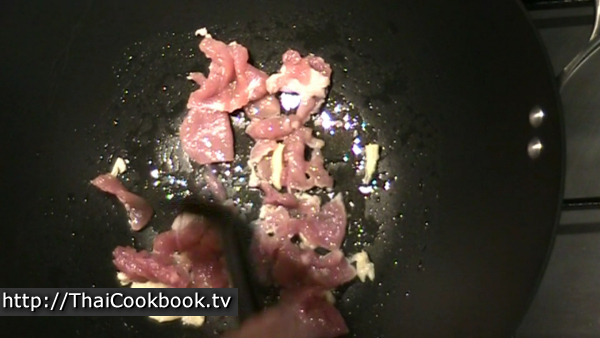 Add thinly sliced pork tenderloin to the garlic and fry it until nearly cooked. 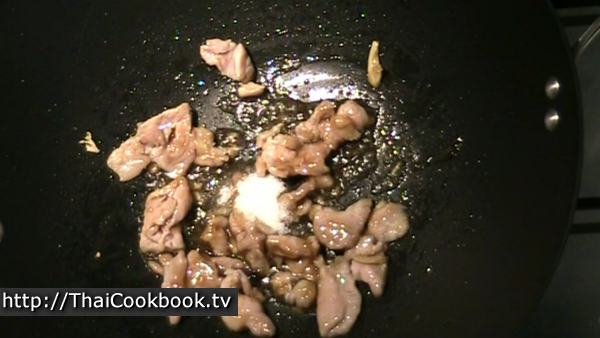 The pork will turn nearly white when fully cooked. Add the oyster sauce and soy sauce. Stir it into the pork and let it fry until the for about a minute. 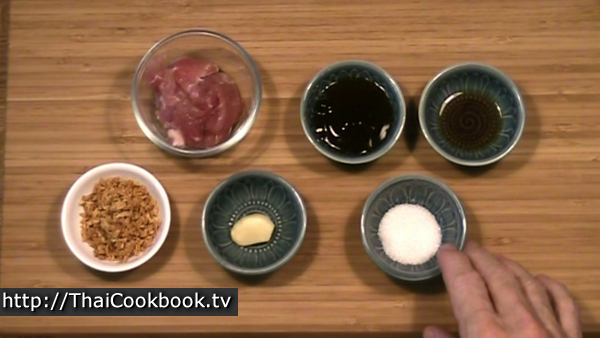 Add the sugar and stir it into the pork. Fry until all the sugar melts and the sauce gets dry and sticky, and very well browned. Add about one tablespoon of water. 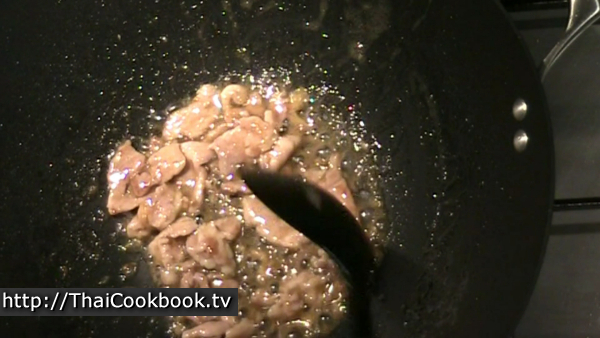 Stir it in well to completely deglaze the pan and make a nice gravy for the meat. Cook for about one more minute, or until the gravy is thick and sticky again. 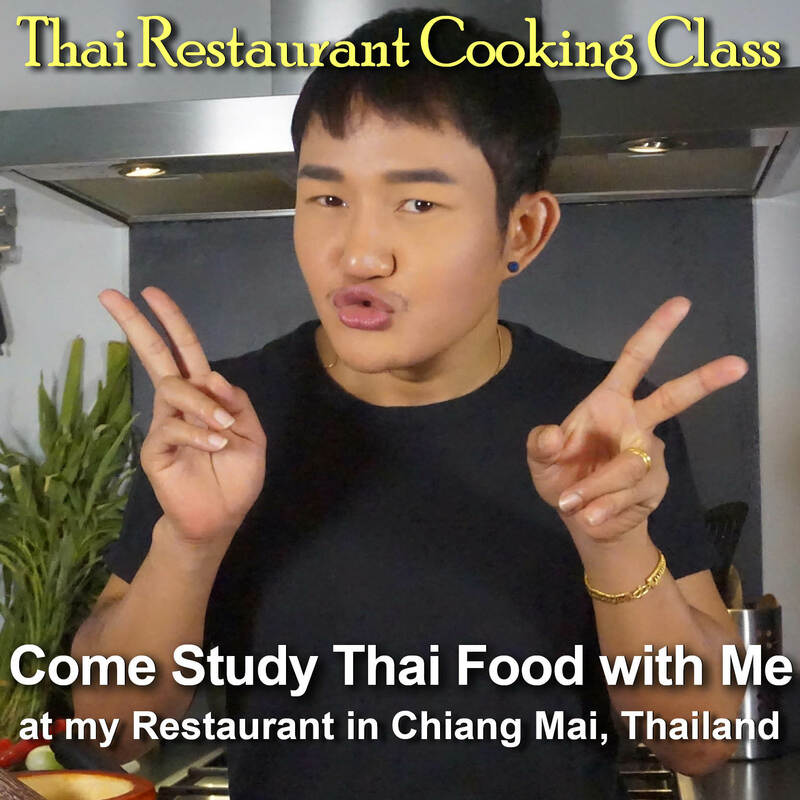 Spoon onto a plate next to some hot Thai Jasmine rice. 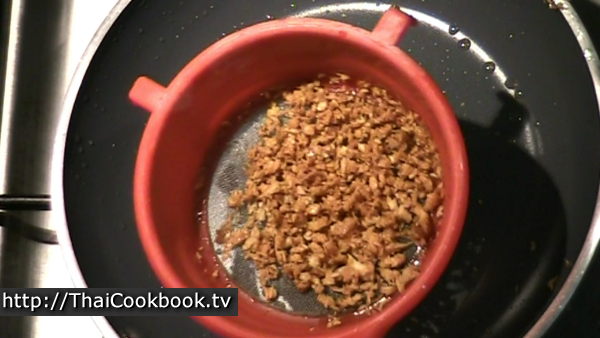 Sprinkle just a dash of finely ground white pepper, then top with a generous portion of crispy garlic. Garnish with cilantro and serve immediately.